Andrei Telkov was born in 1991 in Voronezh. In 1998 he entered the Middle Specialised School of Music of the Voronezh State Academic Institute to study the piano (class of L. Bich). In 2005 he entered the Middle Specialised School of Music of the Rimsky-Korsakov St. Petersburg State Conservatory, specialising in piano (class of Vladimir Suslov). In 2015 he graduated the Rimsky-Korsakov St. Petersburg State Conservatory (class of Honoured Artist of Russia, professor Alexander Sandler). 2006 – the International Charles Hennen Chamber Ensembles’ Competition (Netherlands). 2008 – the laureate of the II prize at the International Frédéric Chopin Piano Competition (Estonia). 2012 – the diploma holder of the International Schumann Piano Competition (Germany). 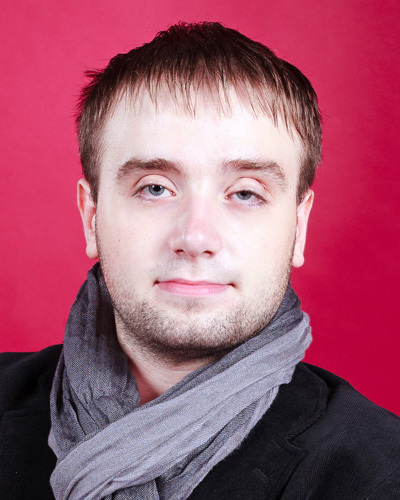 2013 – Grand Prix winner of the Jazeps Vitols International Piano Competition (Riga). He has repeatedly won the title of Best accompanist at various international competitions such as the All-Russia Music Competition (2014), Mravinsky International Competition (St. Petersburg, 2014-2016), S.N.Knushevitsky International Cello Competition (Saratov, 2014). The pianist performs at venues throughout St. Petersburg and other cities in Russia and Europe. He collaborated with such conductors as Vladimir Verbitsky, Yury Androsov, Arkady Steinlucht. Since 2011 he participated in the projects of St. Petersburg Music House. He also took part in master classes given by Nikolai Petrov, Andrei Diev and William Grant Naboré.